Legal experts say WikiLeaks has likely broken no laws. Yet the massive campaign of intimidation against WikiLeaks is sending cold chills through free press advocates everywhere. It is regrettable that top US politicians have called it a terrorist group and commentators have urged assassination of its staff. The organization has come under massive government and corporate attack, even though; WikiLeaks is only publishing information provided by a whistleblower. The massive extra-judicial intimidation of WikiLeaks is an attack on democracy itself. WikiLeaks isn't acting alone -- it's partnered with the top newspapers in the world (New York Times, The Guardian, Der Spiegel, etc) to carefully review 250,000 US diplomatic cables and remove any information that it is irresponsible to publish. Only 800 cables have been published so far. Past WikiLeaks publications have exposed government-backed torture, the murder of innocent civilians in Iraq and Afghanistan, and corporate corruption. 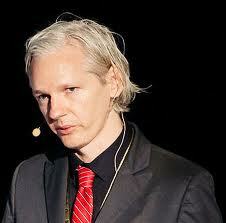 Leading governments are currently pursuing all legal avenues to stop WikiLeaks from publishing more cables. Governments may not like the laws that protect our freedom of expression, at first I construe that it was only the Burmese Junta that harbour this sentiments but now I sadly discovered that there are small Burmese Juntas everywhere in the world including the so called flourishing democratic countries. They seem to forget that only truth and a democratic process can make this world a better place to live in. WikiLeaks founder Julian Assange has the personal character of a hero of our time even though a vicious campaign of intimidation to silence a legal media outlet by governments and corporations is going in full swing. Now we know of why the media so rarely gives the full story of what happens behind the scenes? This is why - because when they do, governments can be vicious in their response. And when that happens, it's up to the public to stand up for our democratic rights to a free press and freedom of expression. Never has there been a more vital time for us to do so. Thomas Jefferson says, “Information is the currency of democracy”. Indeed, information is the lifeblood of democracy. Information about government contributes to a healthy democracy. Transparency and accountability are essential elements of good government. Likewise, "a lack of government transparency and accountability undermines democracy and gives rise to cynicism and mistrust." Outraged politicians are claiming that the release of government information is the criminal equivalent of terrorism and puts innocent people's lives at risk. Yes it may be true but many of those same politicians authorized the modern equivalent of carpet bombing of Baghdad and other Iraqi cities, the sacrifice of thousands of lives of soldiers and civilians and drone assaults on civilian areas in Afghanistan, Pakistan and Yemen, not to mention the working of totalitarian regimes like Burma, North Korea, China, African countries etc. Their anger at a document dump, no matter how extensive, is more than a little suspect. Wikileaks - a nonprofit media organization that specializes in publishing leaked information hopes that no lives will be lost because of this flood of information. So far, it appears those hopes have been met: Yes. Wikileaks and other media will make leaders uncomfortable, for it hits the nail squarely on the head by questioning the ruling class and the elite their transparency and accountability. But embarrassment and discomfort are small prices to pay for a healthier democracy. Wikileaks has the potential to make transparency and accountability more robust in the democratic world that is very good for democracy. Burma's main pro-democracy party, the National League for Democracy (NLD), is estranged from both the younger generation of political activists and ethnic minority groups and lacks public support despite the immense popularity of its leader, Aung San Suu Kyi, according to a US diplomatic cable published by Wikileaks. The scathing criticism of the party's senior leadership was directed at its failure to actively work with 88 Generation Students leaders in 2007, when Buddhist monks led anti-government protests. “Repeated overtures from and 'summits' with the leaders of the 88 Generation in 2007 failed to result in any significant cooperation between the factions,” the cable said, adding that although Suu Kyi remained a popular and beloved figure among most Burmese, this status is not enjoyed by her party. “Already frustrated with the sclerotic leadership of the elderly NLD 'Uncles,' the party lost even more credibility within the pro-democracy movement when its leaders refused to support the demonstrators last September, and even publicly criticized them,” wrote Leslie Hayden, the political and economic affairs chief of the US embassy in Rangoon, in her report in July 2008. “Additionally, most MPs-elect show little concern for the social and economic plight of most Burmese, and therefore, most Burmese regard them as irrelevant,” it said. 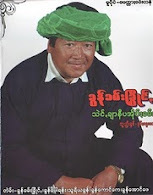 Party sources said that the release in late 2008 of Win Tin, a founding member of the NLD and an outspoken critic of the regime, reinvigorated the party. They also said that since the party decided in March of this year to boycott the election, the party's “Uncles” have stopped attending party meetings. But since Daw Aung San Suu Kyi’s release she has been actively engaged in talks with different opposition groups, including with ethnic leaders. The party has consistently issued statements calling for a dialogue between the NLD and regime first, before the ethnic cease-fire groups are brought into the mix,” the cable noted. The cable also recommended that the US should consider putting security guarantees on the table for the most senior generals and their families if it is serious about removing them from the scene. It also said the US should reach out to progressive military leaders in the regime directly, instead of relying on intermediaries who sometimes garble messages. Rumours of splits at the top of the regime are the result of uninformed analysis and wishful thinking of the exiles and outside observers. While the senior generals may disagree from time to time amongst themselves they usually follow the orders of Than Shwe. The senior generals are keenly aware that if they do not stand together, they will fall together. However the most conspicuous of the WikiLeaks is the heartlessness of the Senior Than Shwe of how he ploys with the idea of offering one billion dollar to purchase the Manchester United Soccer Team as a way diverting the attention of the populace from the Nargis Cyclone catastrophes instead of helping the cyclone victims. Hence the overall conclusion is that the Junta is extremely scared of internet ghost that helps the users and the public sharing information about their infamous stories of their brutal crackdown on peaceful demonstrators, human rights abuses, and systematic rapes, conscription of child soldiers, land confiscations and killing thousands of revered Buddhist monks through the online media. The moral lessons from these WikiLeaks revealed that every government elite lies but the Burmese Junta lie the very concept of truth itself just in order to sustain power and has projected itself to the world that for the last six decades they are anathema to genuine democracy and dialogue is totally absent from their culture. 2008 Harris survey commissioned by the Association of Government Accountants. What's Next for Burma's Democrats?